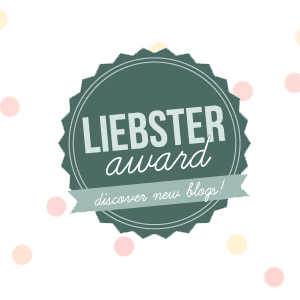 this award has been around blogs i like to read for quite a while now and i always loved the idea behind it which i will explain in that post. just today after a lovely birthday dinner with my daddy my day got even better after i recieved a mail telling me i got nominated for the liebster award. the girl behin colour me in (http://colourmein-sc.blogspot.co.uk/) actually nominated me and you should check out her blog. i like it alot. and a big “thank you” to her. 2. what’s your greatest archievement? no idea. maybe that i was able to buy a car with my own money. 3. what’s the most prominent color in your wardrobe? black…how sad. 4. if you could meet a celebrity,who would it be and what would you say? i would have been heath ledger and i would have told him that he was my first love…rest in peace. 5. do you bulk buy or go on small, regular trips? that depends on where i’m going. primark is the place where i usually pick up tons. i have a serious primark problem. 6. favourite Disney Song? i only know the german ones but the song right at the beginning of bambi, all the lion king songs and bibidi babidi boo. 7. when do you think you started developing your own personal style? when i was around 15. i was confident enough to wear what i wanted to. and i still do. 8. what’s the worst movie you’ve ever seen? probably all the scary movies. awfull. 10. do you have a favourite outfit? if so, decribe it! my dicso pants with a simple black top, a statement necklace and my biker boots or fake litas and i’m good to go. 11. where do you shop most often? you guys can guess it…primark. 1. what’s your favourite quote? 2. where would you rather live? panem or hogwarts? 3. UK or US? why? 5. top three clothing items you can’t live without? 6. what would you order at mc donalds? 7. favourite james bond movie? 8. “the walking dead” or “misfits”? 9. what’s your favourite youtuber? 10. what scares you most?